Blarney Castle: Home to the Famous Blarney Stone - and More! 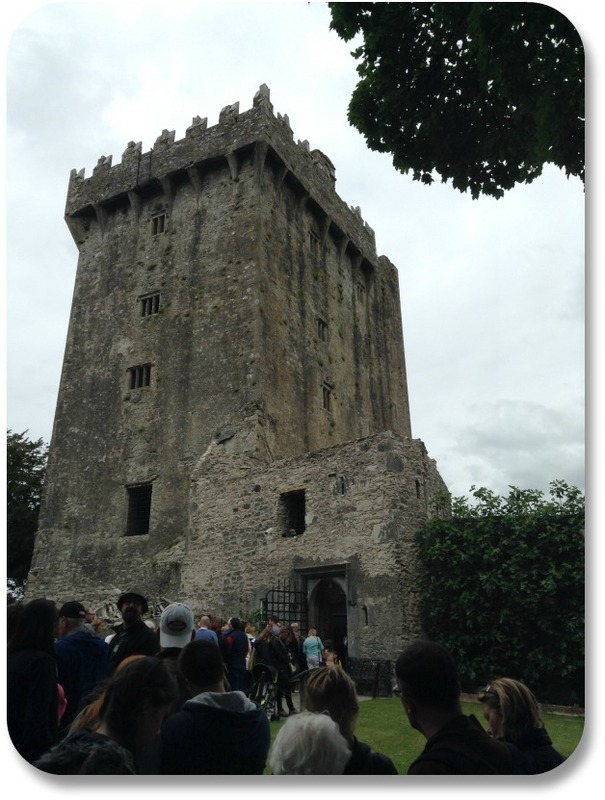 Legendary Blarney Castle - It Is So Much More Than the Blarney Stone! Blarney Castle is located approximately 5 miles from the city of Cork, near the river Martin. It is one of many castles located in County Cork in Munster Province - and arguably the most famous! I took this picture on a mild day in June. We arrived around 2:00 in the afternoon and there were many people there - but it wasn't terribly crowded. There is a lot to see and do on the Blarney Castle grounds, but the main attraction is obviously the Blarney Stone, which is located at the top of the castle. As you can see from the picture, the line into the castle stretched beyond the main entrance. But it moved quickly, and there was so much to see on the way up that time passed quickly. To get to Blarney Castle from the Dublin Airport, take the M1 out of the airport and follow signs to the M50, then the N7, then the M7 to Limerick / Cork. Expect a journey of approximately 3 hours. Here are some fun facts about this amazing Irish landmark. Hopefully they will entice you to pay a visit in person! But if that is not possible, you can always use them to impress your friends with your knowledge of one of the most-visited attractions in Ireland. The castle we see today is actually the third on this site. Built by the King of Munster, it has been standing since the 15th century. It is most famous for the Blarney Stone, which is built into its battlement structure. Kissing the stone is said to bestow the gift of gab. Millions of people, including celebrities and world leaders have made the climb to the top of the castle, and accomplished the feat. The official name of the Blarney Stone is the Stone of Eloquence. To kiss it, you'll need to lean backwards and get in a rather precarious position. But for many visitors, the promise of the gift of gab is worth it. The castle has seen its share of battles. It was seized during the Irish Confederate Wars and it was captured just a few decades later during the Williamite War in Ireland. Blarney Castle is surrounded by a number of fascinating rock formations. When you visit, follow signs to some of the most famous, which include Witch's Cave and the Druid's Circle. Visiting the Castle is unique because although it is more than 600 years old, you can still explore it yourself. The stone walkways and uneven floors take you back to an earlier time. As you walk, look for the so-called murder holes in the floor. These grated areas were used during battles. If intruders made it past the main gates, guards would cover them in hot oil tossed through the murder holes. A rather effective but brutal sign of the past. You can still see the dungeons of Blarney Castle. While they aren't as threatening today as they might have been in the past, they certainly can be spooky. While exploring the castle is wonderful, the best views come from outside. Make sure you admire the castle's architecture, and its distinct lean to one side, from many angles. The gardens surrounding the Castle are as much of an attraction as the castle itself. Take time to explore the Poison Garden, where poisonous plants are herbs were famously grown. There are three major walks that you can take to explore the ground, depending on your schedule. The Riverside Walk takes a quick 20 minutes, the Lake Walk will take you about 45 minutes and the longer Woodland Walk is well worth the full 90 minutes it will take you. In good weather you are likely to encounter a harpist, filling the air with lovely Celtic sounds. For much more information on Blarney Castle, visit the official website here. It is probably obvious - at Irish Expressions, we love Irish castles! The Emerald Isle is dotted with hundreds of these incredible structures. Sharing pictures and stories about them gives us a deeper sense of connection with Ireland, wherever in the world we happen to be! We have captured the most amazing pictures and descriptions of Irish castles in an e-book we call "An Illustrated Guide to Irish Castles and Abbeys." This fun, free guide is available to you to download. Answer two quick questions below to get instant access! Then please send us a note or connect with us on Facebook, and let us know what you think! That Was Fun! Where Can I Learn More? Great question! As you can see, exploring the castles of Ireland offers many opportunities for enjoying an Irish experience and expressing your personal Irish side! For more information of this kind, you might pay a visit to our section on Ireland Sightseeing here! In the meantime, if you enjoyed this page in particular, please take a moment to share your feedback about it, or any other part of our site, using our contact form here. And once again - thanks for visiting! We hope you will continue to share your Irish side with the growing community at Irish Expressions.com! Want to Feel More Connected to Ireland? Here's How! At Irish Expressions we believe everybody – well almost everybody! - has an "Irish side." So - how nice would it be to have access to a fun Irish experience, on demand, wherever you happen to be? If you have enjoyed your experience with Irish Expressions so far, here is a simple, free way to stay in touch. Never miss a post. Tell us where to send your updates, featuring the latest information from Irish Expressions - and we'll take it from there! Meanwhile, thanks for visiting! I hope that we will meet someday, in person or online, and you can tell me about your own connection to the Emerald Isle. Irish Expressions: An Online Irish Experience, Wherever You Are! Irish Expressions helps you share your Irish side during life's special moments, through fun and interesting Irish customs and traditions. Irish Last Names: Their Meanings Help us Express our Irish Side! 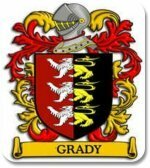 Learn about Irish last names (surnames) and where they came from! Discover creative ways to use your name to express your love of Irish heritage. Irish Baby Girl Names: Express Their Irish Sides At a Very Early Age! 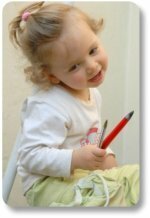 If you are looking for Irish baby girl names, you've come to the right place! Here are some beautiful examples, with pronunciations, meanings and even a bit of historical background. Enjoy! Irish Baby Boy Names: Get an Early Start on Expressing His Irish Side! The search for great Irish baby boy names doesn't need to be a hard one - they are all around us! Read on for some of our favorites, with pronunciations, meanings and a bit of history as well. Irish Pet Names: An Endearing Way to Express your Irish Side! Here are the best of the best: Irish pet names as described and ranked by petnames.com; with a bit o' creative commentary from us! Find the perfect Irish name for your perfect pet! Gaelic Name Meanings: A Personal Way to Express Your Irish Side! 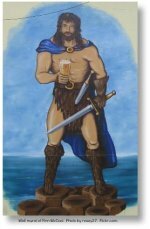 Irish Gaelic name meanings often have historical and mythological beginnings. Read on to learn more about this fascinating way to express your (child's) Irish side!